Although we don’t host the OpenSceneryX package, we’re pleased to offer you in consult with OpenSceneryX owner Austin, some background of his awesome package OpenSceneryX version 3.x and the direct link to his website. The OpenSceneryX project is a free to use library of scenery objects for X-Plane®. 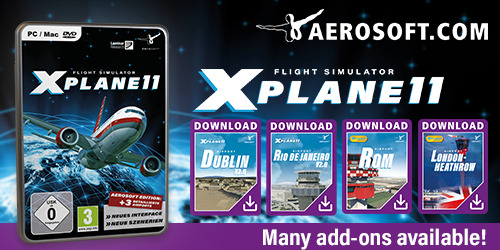 It is a collaborative effort by members of the X-Plane.org community, providing a good range of high quality scenery components for authors to use in their scenery packages. The library contains many pre-built 3d models including buildings, aircraft and vehicles as well as a large collection of ground markings, ground furniture and trees from both Europe and America. For more information about OpenSceneryX, please visit our dedicated OpenSceneryX web page.